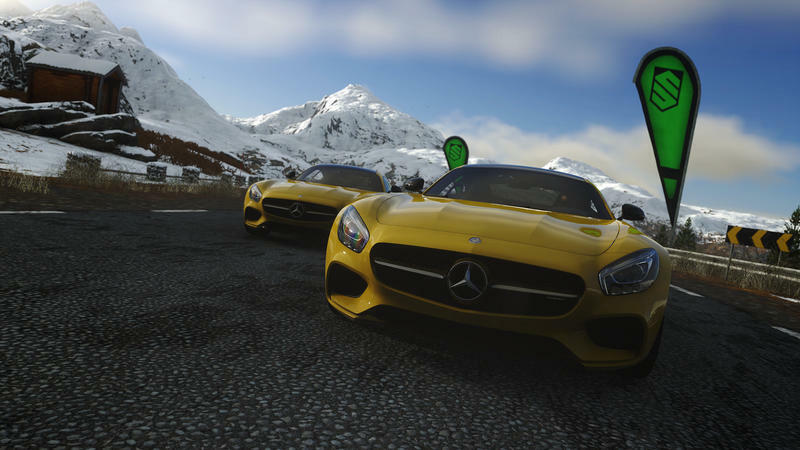 Starting in October, Sony will launch Driveclub and begin its DLC campaign. That campaign comes in two forms: for pay and for free. In order to make it clear to users exactly what they’ll be getting over the course of the currently scheduled DLC stuff, Sony also released a fancy infographic. Here’s that, and I’ve put it in our gallery widget for easy full screening. So, right, the blue circle represents free DLC, while the red one shows what you’ll be getting if you pony up for the season pass (or pay as the stuff comes). Of course, the for pay option will bring in multiple cars and multiple tracks from now until June 2015, but the free option is nothing to balk at either. Gamers will have at least a new car every month over the same period, and the initial months also bring free tracks. The season pass, should you go that route, will cost $24.99. 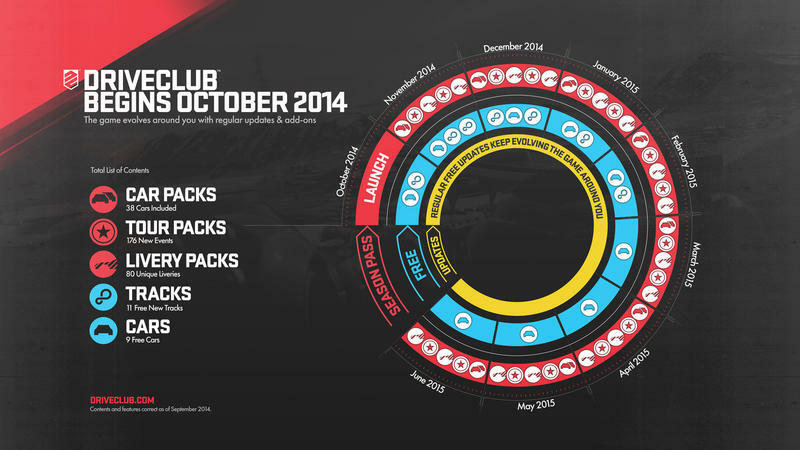 Driveclub will hit the track (of retail) on Oct. 7, 2014. That’s just a few weeks away. Who’s buying?